Words like ‘blockchain’ and ‘cryptocurrency’ have made smart contract quite synonymous with transactions and digital ledgers. Decentralized transactions have their flame to glory because of the awesomeness of smart contracts. Smart contracts are a lot more than what meets the eye when looking at it through the goggles of cryptocurrency and blockchain. We will explore to find out the regions and the domains where smart contracts find their relevance these days! Before we delve deeper into the different uses in manifestations of smart contracts in different industries, we are called to understand what exactly smart contract is. Smart contracts help eliminate the need for a legal system or an authority for facilitating a transaction between two anonymous parties by bringing in all the conditions, regulations and the requirements in a single digital element. 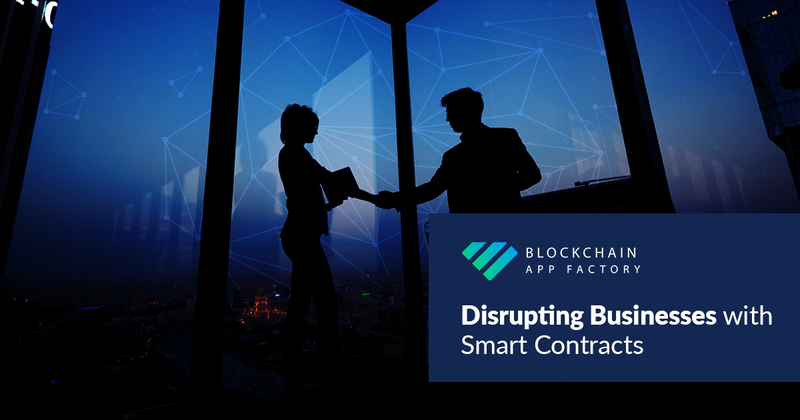 Smart contracts are governed by blockchains and they ensure that a transaction is affected only when all the conditions mandated in the smart contract are fulfilled. Blockchain and Bitcoin might have found their prominence only during the last couple of years of the previous decade. However, the concept of smart contracts predates these practical manifestations of the blockchain by about 15 years. It was discussed by Nick Szabo way back in 1994 to bring in a point-of-sale exchange system in the digital Arena to execute the terms of a contract. It is a common notion that smart contracts are very much confined to purchasing and trading of cryptocurrencies and security tokens. However, smart contracts have a much larger scope in most of the industries which are yet to be tapped and made practical. There are a lot of industries that have taken note and taking advantage of smart contracts and have introduced them into their everyday transactions. Let us look at a few of this Industries. When Global Giants like JP Morgan have created their own blockchain quorum exclusively for the used in BFSI Domain, it is to be understood that the finance sector is taking blockchain seriously. The Rangoon stock exchange has gone the extra mile by bringing in transactions that synchronize twice per day and the layered contracts on the blockchain help solve the limited sync dilemma. It is not a new thing to see real estate being tokenized. There have been quite a lot of properties that have been put up for sale but what makes real estate account as an industry that uses blockchain and smart contracts is the fact that a deal worth USD 60000 was closed in Ukraine for buying an apartment complex… entirely by using blockchain and smart contracts. Real estate has this notorious reputation of being infected by a lot of middlemen and intermediaries who contribute to the increase in prices, and smart contracts are expected to eliminate this course and make real estate more accessible for everyone. The accessibility is not just contributed by the decrease in the cost but also by the phenomenon of tokenization. Tokenization also gives access to a lot of small-scale investors to invest in properties that do not even lie in the vicinity of the geographic reach. You could possibly by a small grid cabin in another corner of the world by just using cryptocurrency and smart contracts and that’s too, without any intermediary charges. While mainstream insurance segments like health and motor insurance might not have impressed blockchain and smart contracts, a lot of offbeat insurance segments like flight insurance have started to recognize the power of blockchain. Since some flight insurance policies cover delays in flight, the smart contract can be automated to communicate with the network and identify the belief that exceeds the threshold limit and then alone expected to the process of the claim been fulfilled. However, as of today, this insurance benefit is limited to a few routes but it is expected to catch up to be a worldwide friend. This will not only increase the number of people who will avail flight insurance but also serves as an instrument to establish the Supremacy and dependability of blockchain and smart contracts. Smart contracts might not have even explored a quarter of the capabilities until now and this includes the industries that we have discussed. Even when it comes to the areas where smart contracts have already made there inroads, like real estate, that is quite a lot of room left for them to explore.For instance, instead of just looking at the buying of properties, even renting can be affected with the aid of a smart contract because even renting requires legal intervention. The possibilities with smart contracts are almost infinite. Even for a rigid process like voting, smart contracts could be the solution. Smart contracts facilitate authentication and universal access. This would mean that the possibility of hacking and corruption is completely eliminated, and it also brings in the room for people to cast their vote from any part of the planet. This translates into a 100% turnout. Industries like cloud computing and storage, real estate, Healthcare, stock exchange and needless to say, cryptocurrencies are a few easy targets for smart contracts. If the limits of smart contracts are pushed a little, even the segments like human resources and law enforcement can make use of Smart contracts. All it requires is an expert organization to build the smart contract by choosing the right blockchain and building an application that fulfills the utility. Blockchain App Factory has the essential credentials and talents that can help your Idea take advantage of smart contracts and blockchain. If blockchain can give you a viable solution in mitigating a business problem, you can get in touch with Blockchain App Factory to advise you on the right blockchain that you can make use of and also help you in building an application that constructively exploits all the advantages of the blockchain and smart contracts!